Thank you to all those that flagged that this statement is no longer correct, for those in South Australia. In a similar vein as being the first (and to date only) Australian jurisdiction to allow trusts to have no mandated vesting date (see reference to this in the following post - 'Testamentary trusts and excepted trust income') the Law Society of South Australia has established a wills register. The platform is broadly analogous to government registers such as ASIC and is fully electronic. Despite this innovation, as mentioned last week, best practice will likely remain (even for those able to access the new platform) that a person only ever sign one copy of their intended will, and generally ensure that the physical copy of any previous will is then destroyed. Furthermore, if a will is registered, it will make it critical that any future amendments (via codicil) or any updated will is also registered. One of the aspects listed was the ability to challenge a will due to a later inconsistent document. As there is no central registry for wills (unlike, for example, the ASIC which records numerous key aspects in relation to every company registered in Australia), often confusion can arise as to what is in fact a person’s last will. Generally, any potential confusion is resolved as part of the probate process. In other words, before a court grants probate of a testamentary document, it must be satisfied that the document is the last statement of the will maker’s intentions. There can be scenarios however where, even after probate has been granted, evidence is discovered that shows either a later will was made, or alternatively, material was brought into existence that overrides certain aspects of what was otherwise the person’s last will. 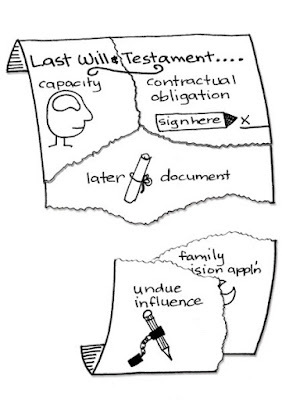 Particularly as technology improves, the complexity surrounding what is in fact a person’s last testamentary document is likely to increase and reinforce the approach adopted by virtually every specialist lawyer in this area of a person only ever signing one copy of their intended will, and generally ensuring that the physical copy of any previous will is then destroyed. Resolutions v minutes – is there a difference? Previous posts have looked at a number of the key aspects in relation to trust distributions (for example Trust distributions – 3 reminders for 30 June 2014, and A further reminder – read the deed). One key issue in relation to effectively distributing from a trust is whether the trustee should prepare a resolution or minute. The threshold issue under any trust instrument is making sure that the terms of the deed are followed. If a decision is initially going to be made orally, confirming that there is the power to do so under the trust instrument. Methodically following all requirements set out in the trust instrument, including evidencing the decision by the date required under the instrument (regardless of what might otherwise be permitted under the tax laws). Assuming the above issues are properly addressed, then generally a trustee can invariably make a distribution either by way of a resolution or a minute. A minute effectively records the decision made in an earlier meeting. It need not be made contemporaneously with the meeting (in other words, it can be prepared, dated and signed sometime after the meeting). In contrast, a resolution is effective only from the date of signing. Where a circular resolution is made by a multiple director company or multiple trustees, it is valid on the date that the last director or trustee signs it. 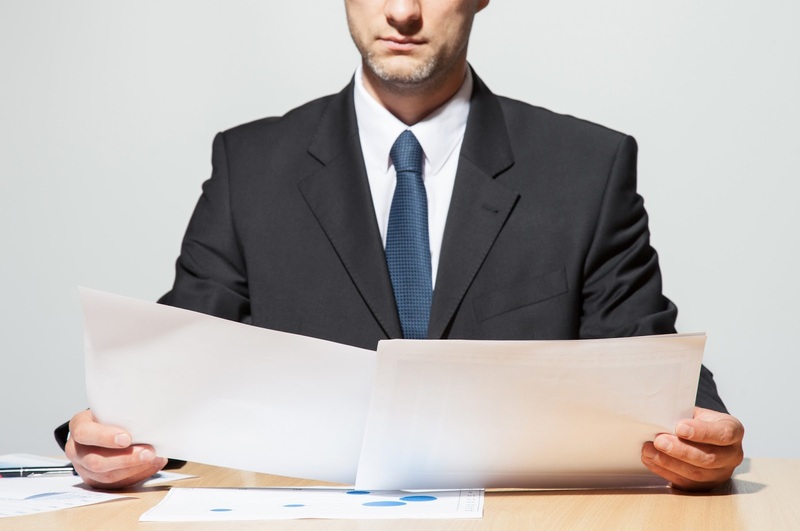 Sole director companies can only make distributions by way of resolutions. Generally, for trust distributions, this means that a sole director must determine how distributions are to be made and record by way of resolution the decision no later than 30 June in the relevant income year. For individual trustees or trustee companies with more than one director, any decisions can be made up until 30 June and then later documented by way of a minute of meeting. Again, subject to the trust instrument, where a trust has derived a capital gain, it should be possible to delay any decision at all until 31 August immediately following the end of the relevant financial year pursuant to provisions under the tax legislation. George Beaton has been a significant contributor to the conversation about the reengineering of professional service firms. With Imme Kaschner, Beaton has recently released the book ‘Remaking Law Firms' and it is a compelling read on many levels (see - http://www.remakinglawfirms.com/). 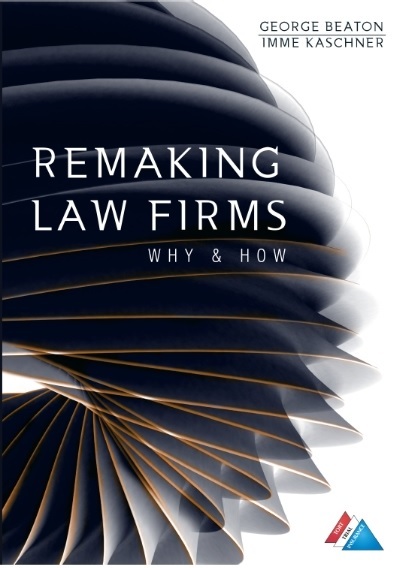 Broadly it captures all of the key themes facing professional service businesses generally, and particularly the legal profession. Certainly, our experience as one of the so-called ‘NewLaw' innovators, reflects many of the core challenges and opportunities identified in the book. One area however that I had difficultly agreeing with was the analysis about the need for time recording. To make this clear, we do not advocate the complete elimination of time recording. Time recorded on a matter is a relevant component of the cost of production. And of course revenue minus cost equals profit. Every firm must know the extent to which its units of production, that is, matters, are profitable-and that is the reason why time must be recorded to track efficiency and improvements. As many will be aware, authors such as Ron Baker have critiqued this area at length, and completely rejected the utility of time recording (see any of Baker’s books, for example – Implementing Value Pricing (see - http://www.amazon.com/Implementing-Value-Pricing-Business-Professional/dp/0470584610). Our personal experience is the same as the conclusion reached by Baker. In particular, while recording time (even when pricing everything on an upfront fixed basis), our focus was always ultimately on what was chargeable. It was not until we stopped recording time that the cultural shift finally took place to allow us to focus on what was valuable to the client. Our upcoming Roadshow will also be a full day example of our contribution in this space. Before then, our recent free webinar shared a number of insights - https://viewlegal.com.au/recorded-webinars/. Last week’s post looked at Malcolm Gladwell's latest book. Interestingly, Gladwell has previously also provided guidance on what types of factors may be of interest to the professions as the foundations of the time billing business model continue to be subject to intense scrutiny. 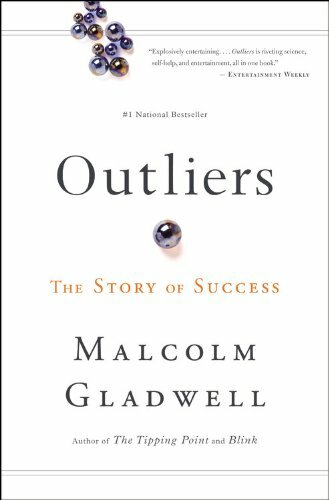 In particular, in Gladwell's book Outliers (see - http://www.amazon.com/Outliers-Story-Success-Malcolm-Gladwell/dp/0316017930), he analysed the 'perfect storm' that allowed the legendary New York legal firms to seemingly come from nowhere and become arguably the western world's most famous and successful law firms. 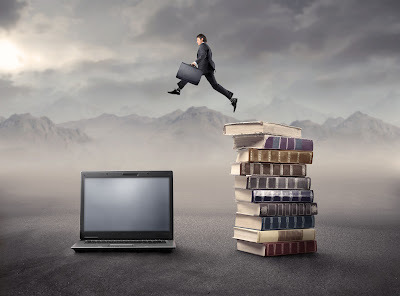 The analogies given the current changes facing the time billing professions should be clearly identifiable, given the wave of innovative business models enjoying exponential rates of growth across a myriad of industries. have a strong dose of ingenuity and drive. For your limited opportunity that lasts less than 2 weeks to access special early bird pricing for our Roadshow, download the brochure here.